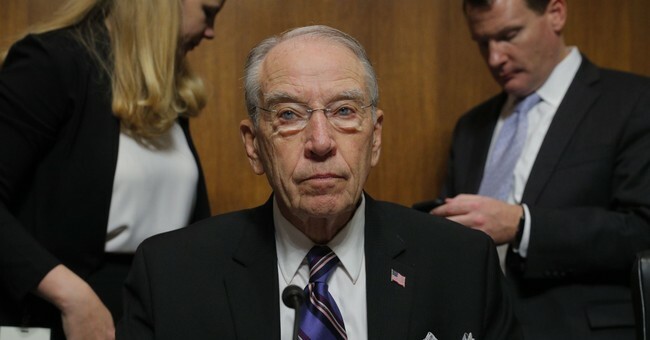 Senate Judiciary Committee Chairman Chuck Grassley said Wednesday that there is still enough time to fill the vacancy on the D.C. Circuit left by Justice Brett Kavanaugh’s promotion—but the White House must act immediately. “Is there time for a nominee to come out of the White House and be confirmed by the end of the year for the D.C. Circuit nomination,” conservative radio host Hugh Hewitt asked Grassley on his program. The chairman said if Senate Majority Leader Mitch McConnell keeps the Senate in session, there could potentially be dozens of new federal judges. McConnell has had a laser focus on reshaping the nation's circuit courts, so hopefully he heeds Grassley's advice.